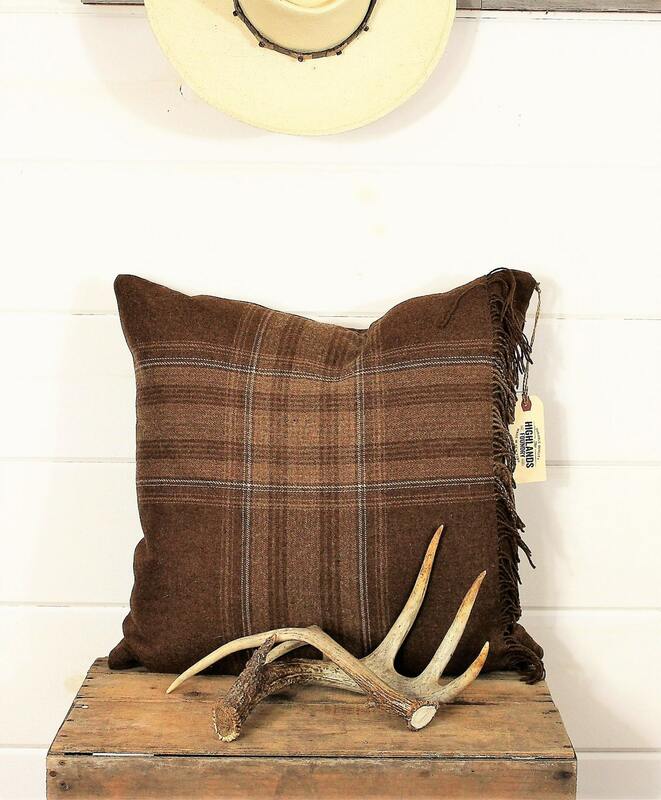 The fabric for this pillow cover comes from a vintage wool plaid shawl from the 1940s. It is a very fine weave and in excellent condition. 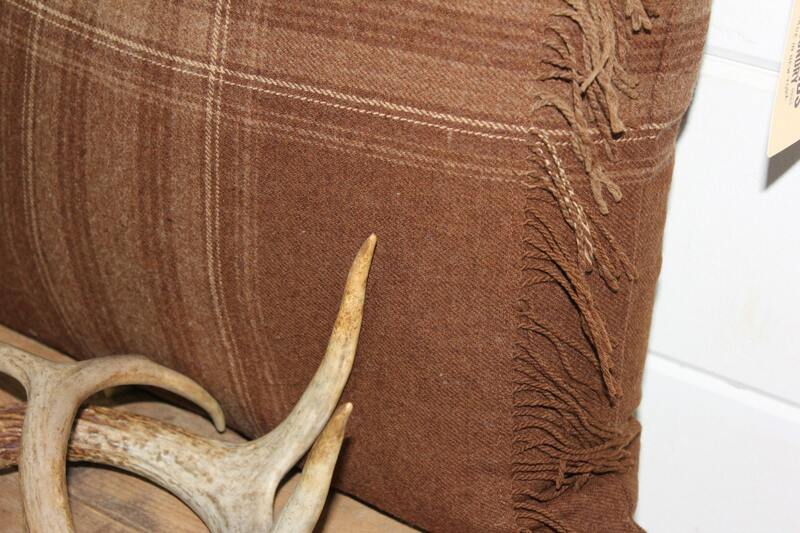 The main color of the plaid is a warm medium brown and is crossed with a natural yarn. 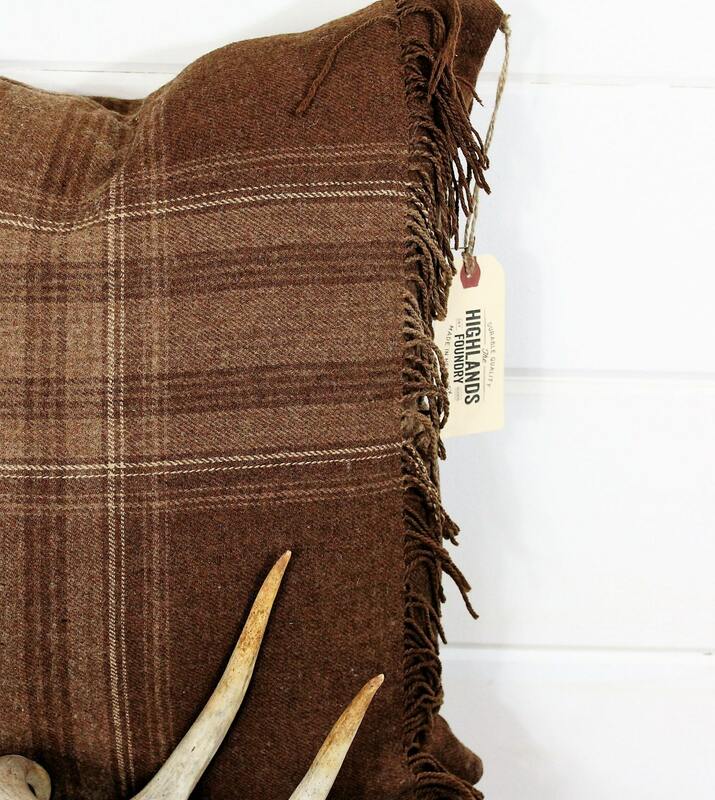 I decided to let the fringe be apart of the pillow design, so I was able to cut the pattern to incorporate this detail. There is an invisible zipper closure at the bottom of the pillow. 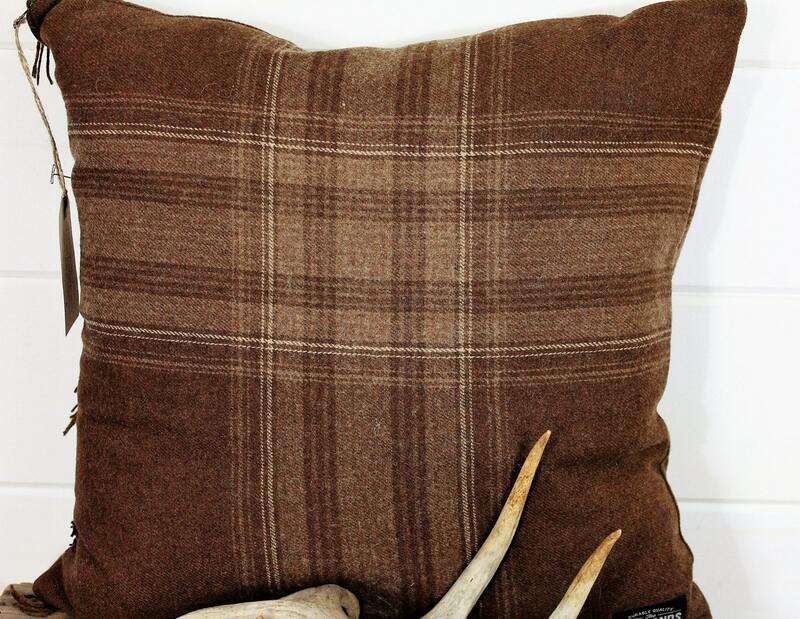 We recommend a 20" pillow insert or you can size up for a firmer and denser look. The pillow cover can be washed in cold water on the gentle cycle and low setting in dryer, or lay flat to dry.